REAL PATIENTS – REAL RESULTS! Like many of our International Patients Matteo (from Mexico) thought Dentures were his destiny. He had been to other Dental Clinics and was told that he did not have enough bone for conventional Dental Implants. 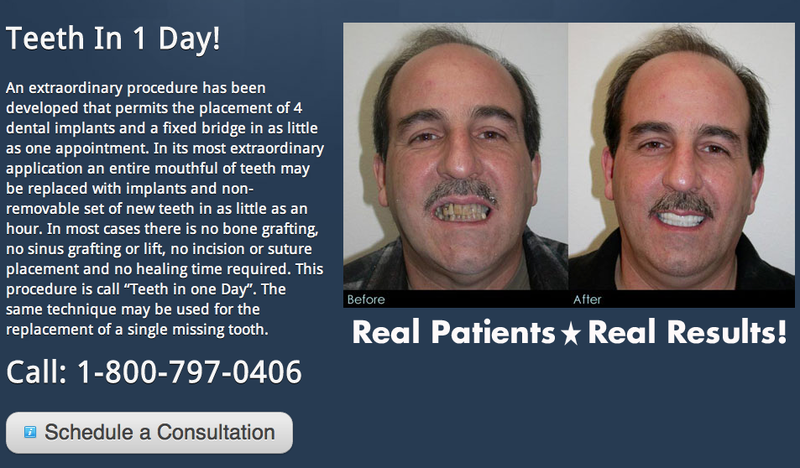 he had spent thousands of dollars on Bridges, Crowns, and Dental Implants that failed, but was determined to find a Dentist that could offer a solution that would give him the freedom of a permanently fixed bridge. Mini Dental Implants, and removable Snap-in Dentures where not an option. Dr. Golpa and the Team at the Golpa Dental Implant Center where able to fulfill Matteo’ s dream using the affordable procedure called the All-on-Four. In a 2 day Vegas Vacation, Matteo’s life was forever changed, with beautiful, permanently fixed teeth that will last a lifetime! iWear Dentures: Smile makeover contest! 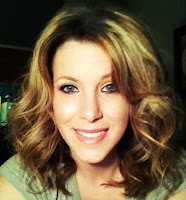 I have just entered a smile makeover contest where I could potentially win all-on-four implants. This has been a long term goal of mine and would be the final chapter to my journey. If I could win this, it really would be life changing! All you have to do is click the link below and sign yourself up for the contest. This will give me points and help keep me in the top 10. If i can stay in the top ten until December, I will be entered into a voting block for one week. Whoever gets the most votes during that week will win all-on-four dental implants FREE of CHARGE! It only takes a minute to sign yourself up! Please help me win! The winner receives FREE “All-on-4™” “Teeth-in-1-Day™” Procedure valued at $20,000! Winner announced January 1st, 2013. Contestants will earn points for helping us spread the word about the revolutionary “Teeth-in-1-Day” “All-on-4″ Dental Implant Procedure. Contestants will be given their own individualized links to promote and our system will keep track of your points. At the end of the contest, December 24th 2012, the top 10 contestants with the most points will have their Youtube™ response videos entered into a voting block. The voting will last for approximately 1 week, at the end of the voting period the contestant with the most votes will win a $20,000 1-Day Miracle Smile Makeover! Enter your email address below to get your customized links and begin earning points! Describe what your dental problems are and show us! Tell us how these problems make you feel and how it affects your life! Make us laugh, make us cry, make us feel for you! Share your personality with us in any way you want! AND REMENBER YOU CAN EARN POINTS DAILY! REAL PATIENTS - REAL RESULTS! Like many of our Patients Kelly thought Dentures were her destiny. She had been to other Dental Clinics and was told that she did not have enough bone for conventional Dental Implants. She had spent thousands of dollars on Bridges, Crowns, and Dental Implants that failed, but was determined to find a Dentist that could offer a solution that would give her the freedom of a permanently fixed bridge. Mini Dental Implants, and removable Snap-in Dentures where not an option. Dr. Golpa and the Team at the Golpa Dental Implant Center where able to fulfill Kelly's’ s dream using the affordable procedure called the All-on-Four. In a relatively painless 1-Day procedure Kelly’s life was forever changed with beautiful, permanently fixed teeth that will last a lifetime! Every Patient is different depending on bone quantity and density, but on average, this procedure costs half the price of conventional methods, without any waiting period and the benefit of a Permanently Fixed Bridge in one day. Additionally, Our fees are an average 0f $7,500-$12,500 per arch, lower than most providers. The average fee for the “All-on-4″ procedure is $25,000-$35,000 per arch, our average fees are $14,500-$19,000. Many practices use a “team” of specialists to perform the “All-on-4″ procedure, or you are referred to a “team” of specialists, when this happens every member of the “team” must get paid! This results in higher costs for the Patient. Dr. Golpa expertly performs every aspect of your oral rehabilitation, from your initial consultation, to the day you leave with your beautiful new teeth. Dr. Golpa only answers to one person, You. Our fees are also lower than traveling to countries like Mexico or Costa Rica, when you factor in all the fees involved, not to mention the hassles and dangers of foreign travel. Before you have any teeth removed, come in for a second opinion. When you compare our fees it’s easy to see why Dr. Golpa’s Dental Implant Center is the Clear Choice for Teeth-in-1-day! If All-on-Four Dental Implants are not within your budget, we can provide other more affordable options for your dental treatment. The fist step in this life-changing procedure is to schedule your consultation with Dr. Golpa. Your consultation will include a FREE CAT-SCAN & CAT-SCAN VIEWER SOFTWARE on a DVD, as well as an INFORMATIONAL PRESENTATION FROM DR. GOLPA, that you can take home with you! (A $800 DOLLAR VALUE). Because Dr.Golpa’s time and expertise is valuable (performing an average of 15 All-on-4 Procedures per month, as well as dozens of Same-Day Single Dental Implant, Advanced Cosmetic and Complex Full-Mouth Procedures per month) We charge a nominal fee of $150 for your personalized consultation (the fee will go towards treatment). Consider this; AT MANY PRACTICES WHEN YOU GO IN FOR A FREECONSULTATION YOU MAY NEVER EVEN SPEAK TO THE DENTIST, INSTEAD YOU WILL SIT IN FRONT OF A FINANCE OR SALESPERSON WHO’S ONLY GOAL IS TO EXTRACT MONEY FROM YOU! WHEN YOU COME IN FOR A CONSULTATION WITH DR. GOLPA, HE WILL TAKE THE TIME TO LISTEN TO YOUR CONCERNS AND EXPLAIN YOUR OPTIONS. TOGETHER, YOU AND DR. GOLPA WILL CHOOSE A COURSE OF TREATMENT THAT WORKS FOR YOU! To get started call our office at 702.641.7111 (Las Vegas Local) or 1.800.797.0406 (Toll-Free), to speak with one of our Experienced Dental Consultants. You can request an appointment or ask a question by filling out the form below. (Dr. Golpa makes every effort to answer all question directly) Join the 1000′s of Patient who have changed their lives forever, thanks to the expertise of Dr. Golpa and the revolutionary All-on-4 Procedure!